Some of you might no that I am converting my ofna lx pro buggy to electric. I have gotten every thing finished except for the pinion, the one that i have on it right now doesnt have big enough teeth for the spur. Any one have any links to pinions that have the right size teeth? It would be better if the link was to a place in the uk but any thing will do. So pitch am i goin to need for the pinion? What should i do now find out what pitch the stock spur is? the spur looks like a 32 pitch so you'd want the pinion to be 32 pitch as well. 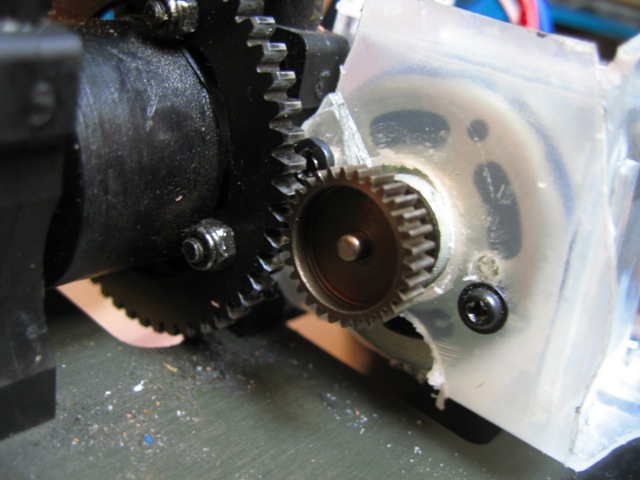 Try the pinions for the Emax. I don't think they're a standard 1/10 scale pitch. I think kuzo is right 32 pitch i found some 17t ones thanks for the help!